Award-winning Egyptian playwright Ibrahim El-Husseini visits the Segal Center to present a reading of his Commedia Al-Ahzaan (Comedy of Sorrows) in its English translation by Mohammed Albakry and Rebekah Maggor. Both formally and historically of-the-moment, Comedy of Sorrows was one of the first theatrical responses to Egypt’s January revolution. Its heroine, a young, college-educated Cairene woman, travels through her city, gradually growing aware of the misery that surrounds her. First performed at Cairo’s Al-Ghad Theatre, it won accolades: Critic Nehad Selaiha called it an “emotionally poignant and aesthetically cathartic theatrical experience.” Join us for this look at excellence in the Egyptian theatre and for a discussion about how art informs a society convulsed by change. Comedy of Sorro ws marks Ibrahim El-Husseini’s eighteenth play. Born in Sharkeya, Egypt in 1970, El-Husseini studied theatre arts at the prestigious Arts Academy in Cairo. Today he is known not only for his plays, but also for his poetry and theater criticism. His plays have been produced in Cairo and the Egyptian provinces, as well as in Jordan, Tunisia, Algeria, the United Arab Emirates, and Iraq. In his dramatic writing, he experiments with the juxtaposition of heightened and colloquial text, music and poetry to explore the themes of freedom and social justice. He has won numerous awards including the Egyptian Higher Council for Culture award for his plays The Final Days of Akhenaton , Tattoo Birds, and The Piper, the Egypt’s Writers Union Award for Museum of Human Organs, the Gomhourya Newspaper Award for Garden of the Drunk, and the Mohamed Taymour Award for Theatre Creativity for Seduction. He has also written several short films and was co-founder and General Editor of the weekly newspaper Our Theatre. 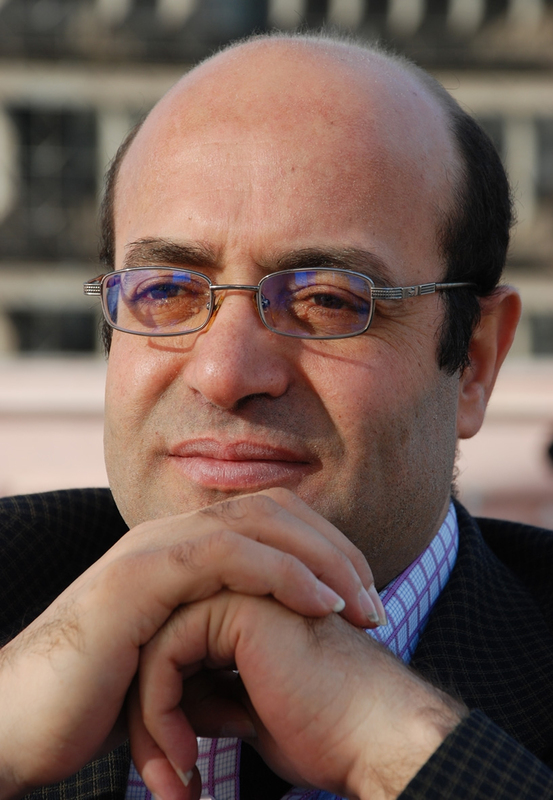 He has written essays and criticism for newspapers in Egypt as well as the Awan newspaper in Kuwait, where he received the Saad Al Sabah Award for theatre criticism. A native of Egypt, Dr. Mohammed Albakry is Associate Professor of Applied Linguistics at Middle Tennessee State University. Currently he is on a Fulbright fellowship to Morocco to research language policy in North Africa. His research and teaching interests are in the areas of corpus linguistics, discourse analysis, Anglophone Arab literature, the stylistics of literary translation, and language and identity in Africa and the Middle East. He has published peer-reviewed articles in English World-Wide, The Journal of Language & Literature, Middle Eastern Literatures, The International Journal of Arabic-English Studies, and others. He received his B.A. and M.A. Certificate from Alexandria University, Egypt, his M.A. from the University of Massachusetts, and his Ph.D. from Northern Arizona University. Rebekah Maggor is a playwright, translator, director, and actress. She received her MFA through the American Repertory Theater Institute at Harvard University, her BA from Columbia University, and studied Arabic at Alexandria University in Egypt. She teaches dramatic literature and playwriting at Vanderbilt University. Her work has had readings and productions at the American Repertory Theater, the New York Theater Workshop, the Old Vic in London, and the Huntington Theatre Company. She has received commissions and fellowships from the Huntington Playwriting Fellows, the Catalyst Collaborative @ M.I.T., the Foundation for Jewish Culture, and the Middle Eastern Theater Project.